The waxing or oiling station applies a coat to the final product in order to enhance presentation, to prevent the product from sticking, and to help retain moisture inside the packed product. In most extrusion production lines a waxing unit is positioned before the main cooling/conditioning tunnel. Because of the very minimal space the waxing unit requires, it can easily be by-passed for products that do not require waxing. 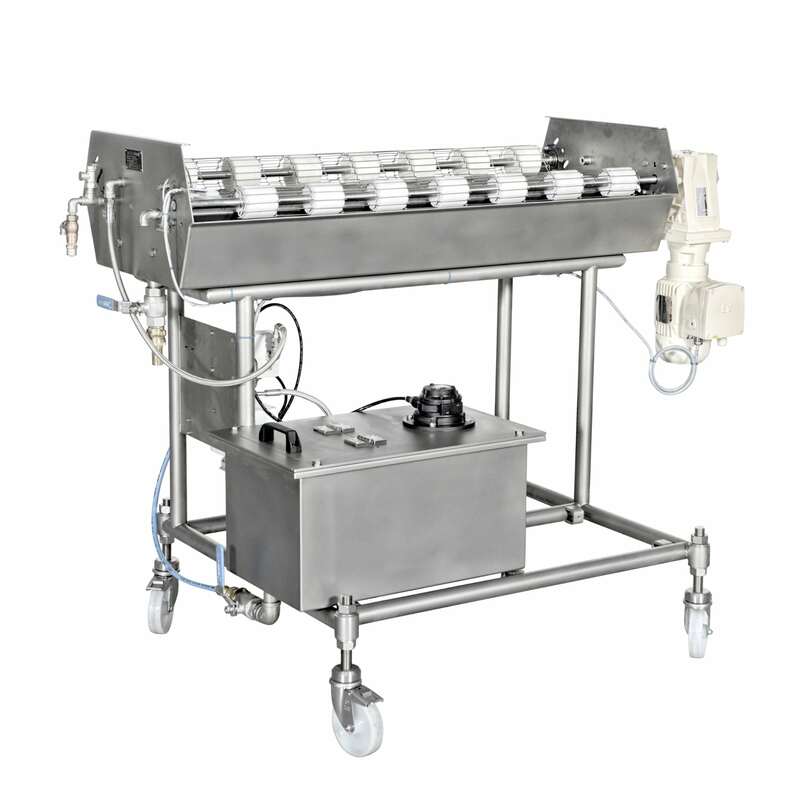 The waxing station is jacketed for cooling and heating by circulating temperature controlled water in order to keep the wax or oil at an optimal temperature. Finally, the waxing unit can be fitted with various grooved guiding rollers to ensure optimal waxing for each type of product.